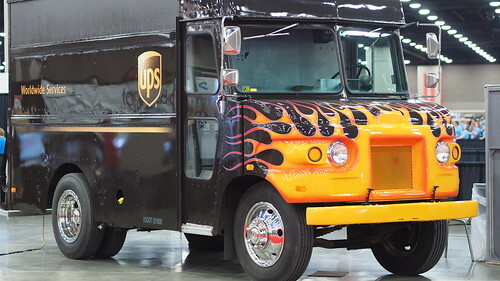 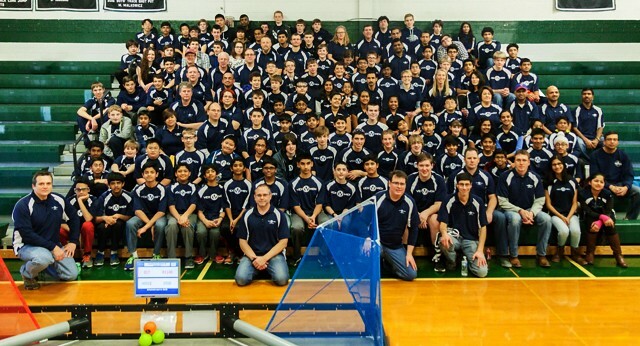 My how we’ve grown! 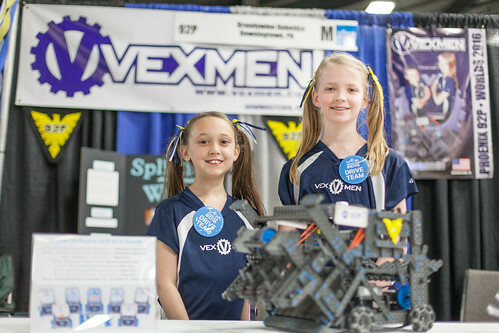 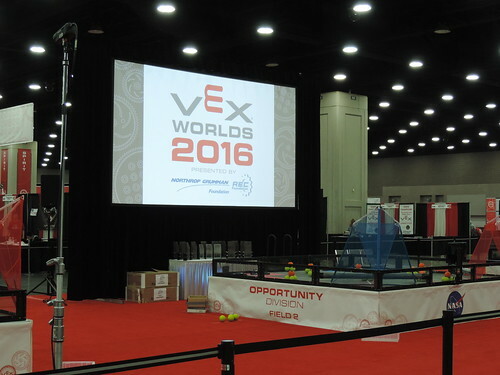 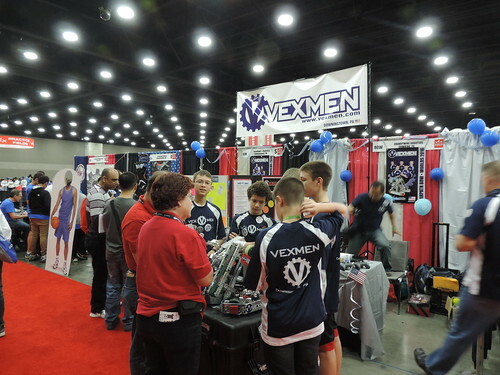 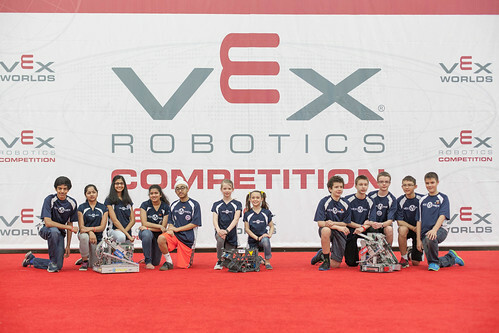 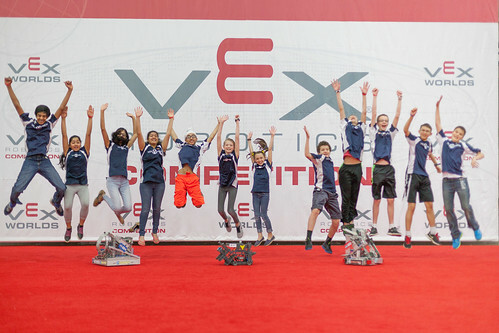 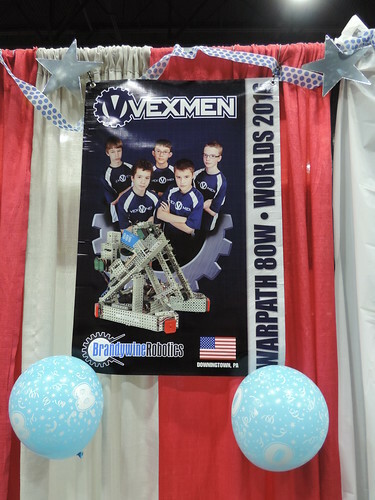 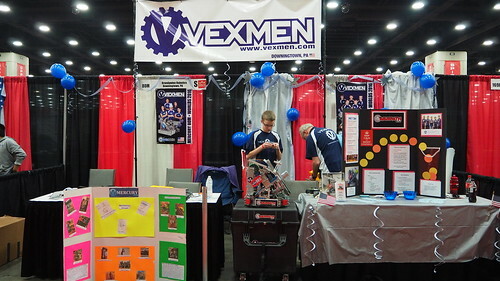 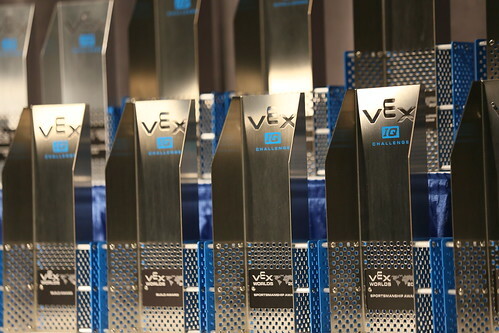 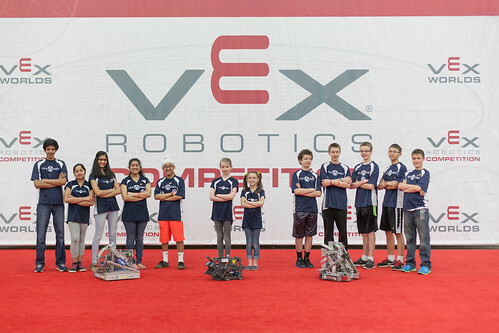 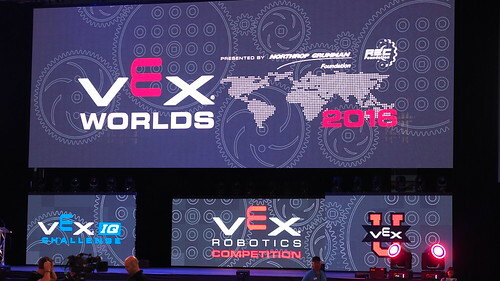 The Vexmen of Brandywine Robotics have grown event more for the 2016-2017 season and now have 31 VRC teams and 6 Vex IQ teams! 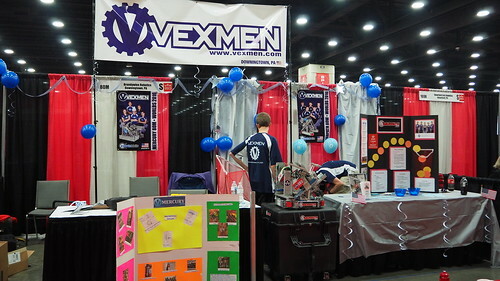 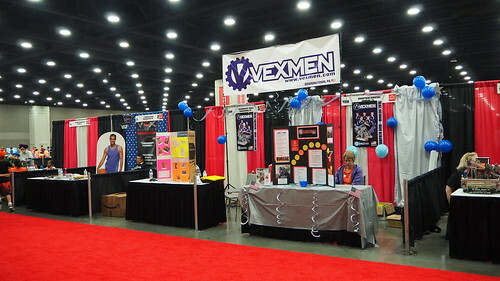 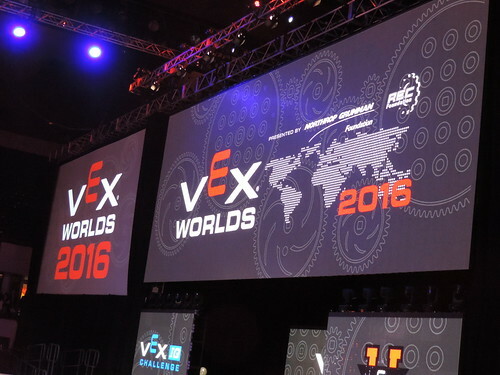 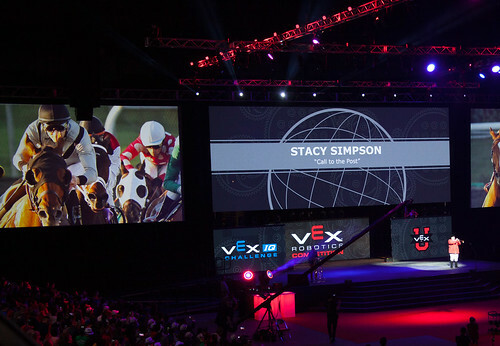 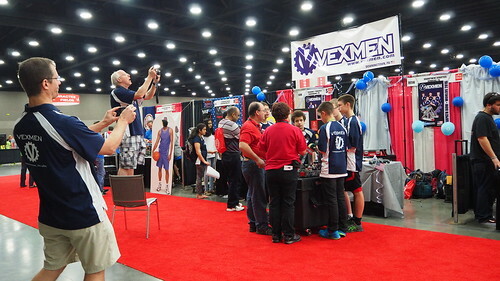 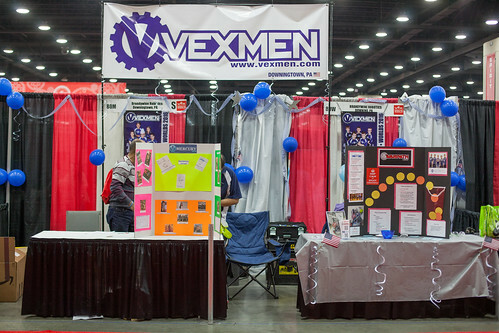 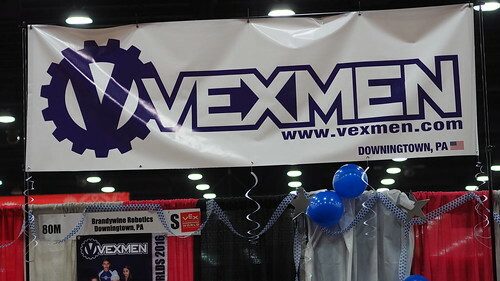 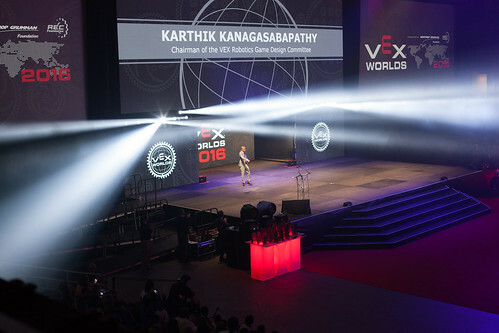 This again officially makes the Vexmen the largest VRC organization in the world! 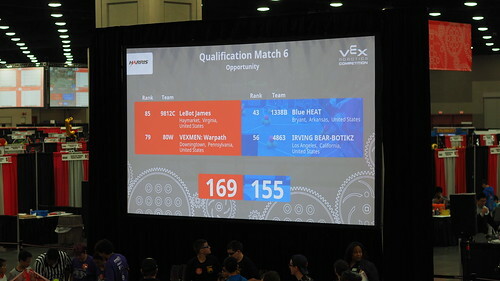 This season’s VRC game is Vex Starstruck. 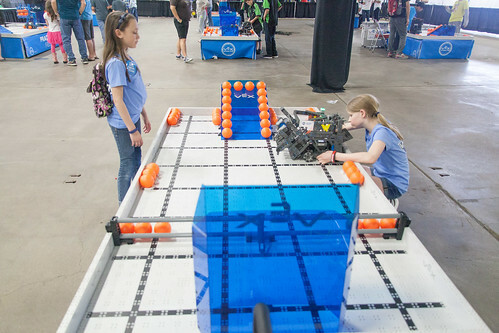 The object of this game it to have all the stars and cubes end up on the opponent’s half of the field. 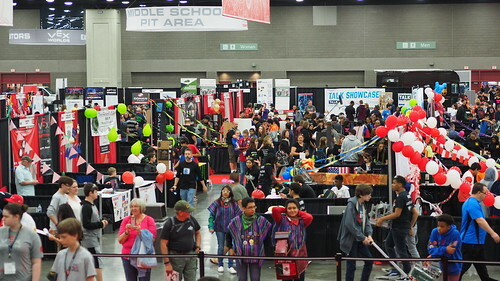 There is a 24″ wall dividing the sides this year. 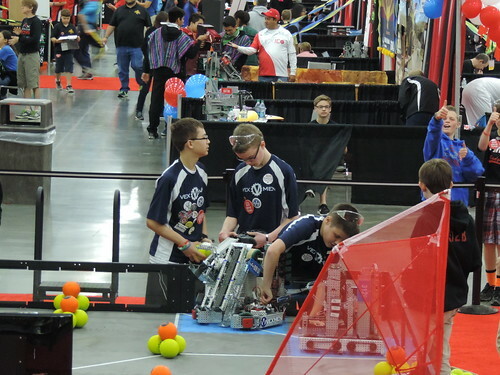 Hoard elements until the last second or continuously send elements back and forth are two strategies to be decided. 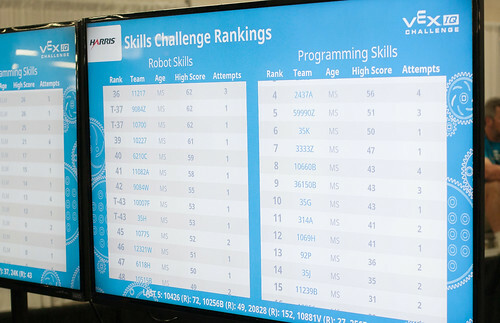 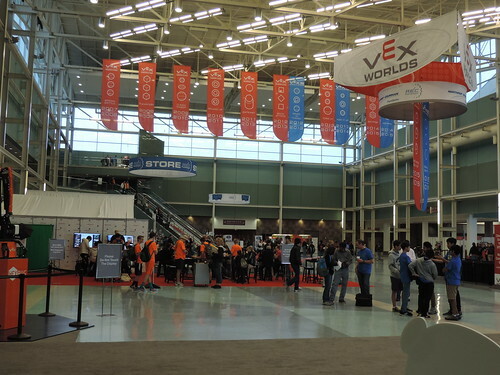 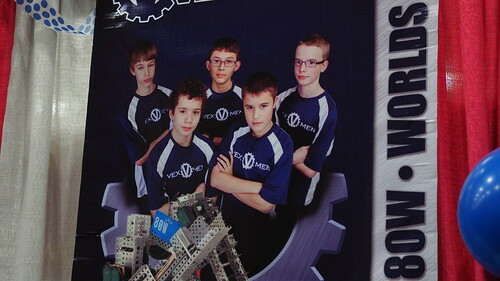 The Vex IQ game is Crossover. 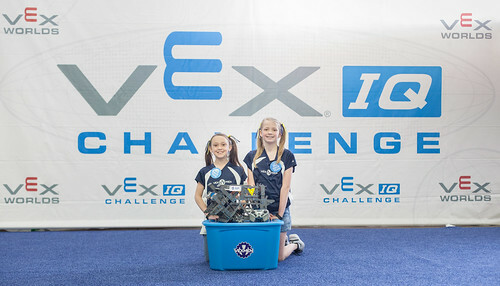 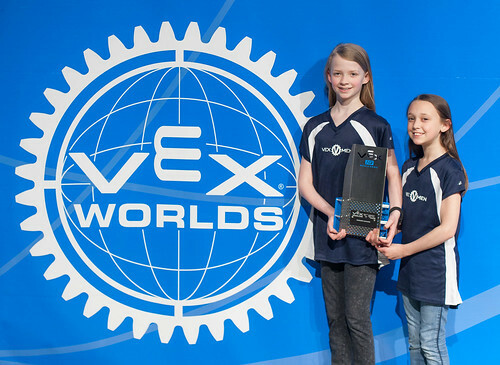 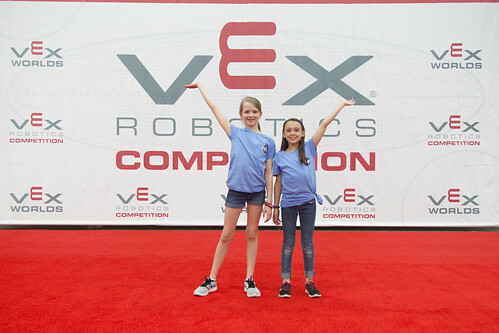 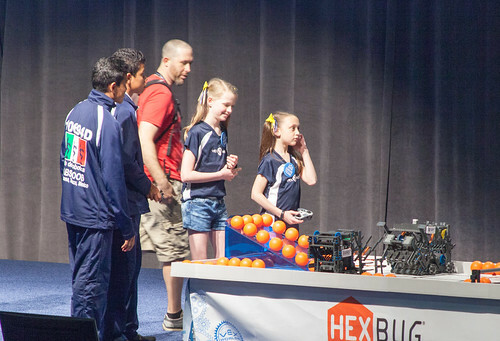 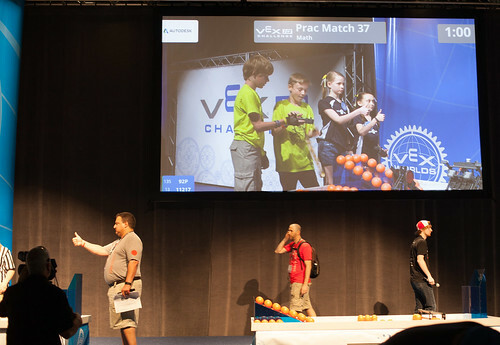 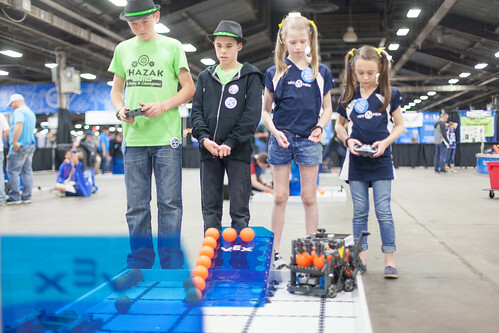 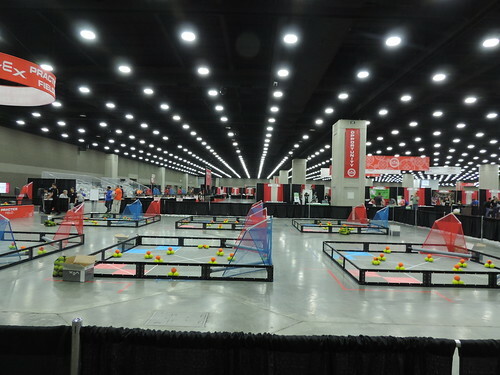 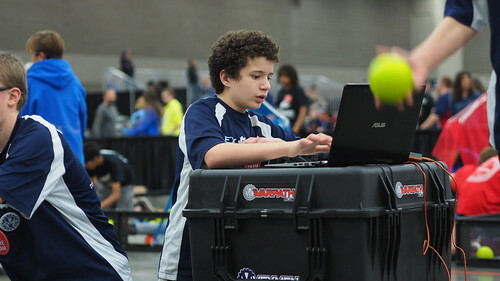 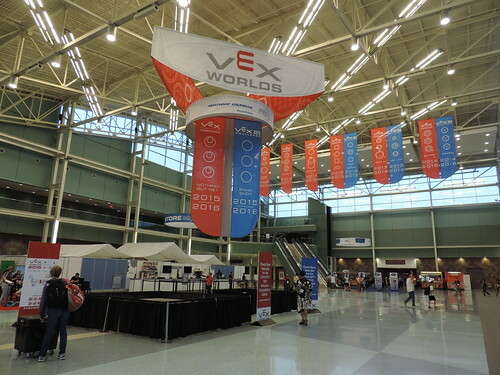 A teeter totter bridge in the middle of the field and irregularly shaped ball clusters make this one of the most challenging Vex IQ games to date. 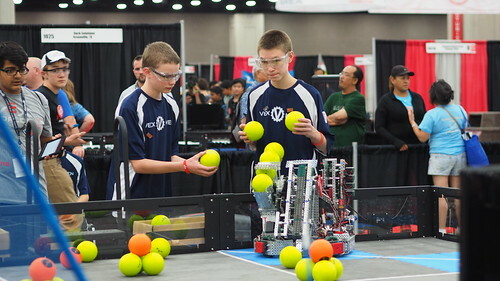 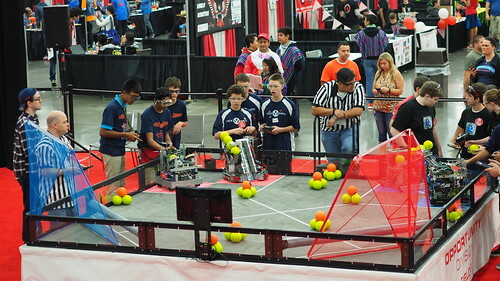 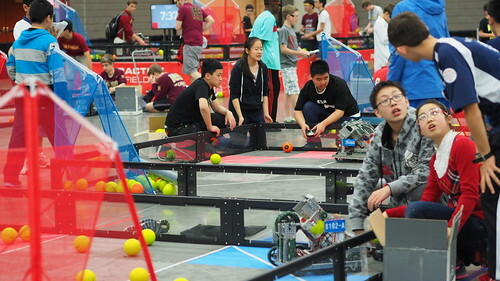 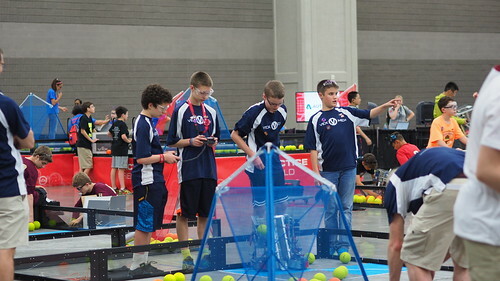 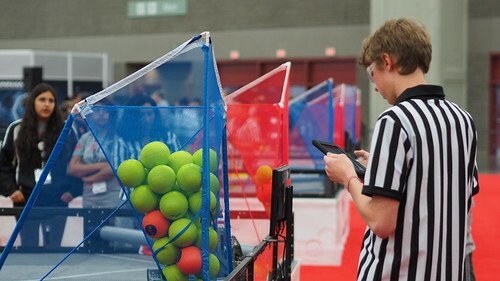 Robots must grab and send ball clusters to the other side of the field and place them in cubbies. 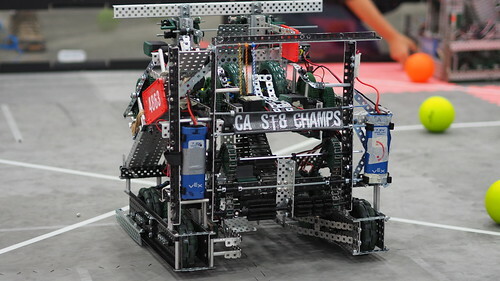 For more points the robots balance themselves on the bridge at the end. 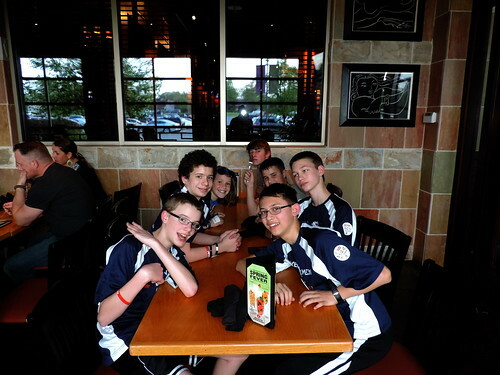 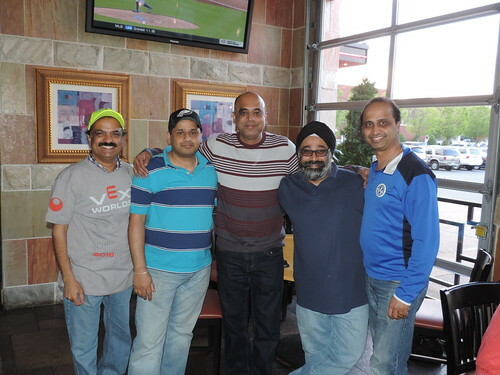 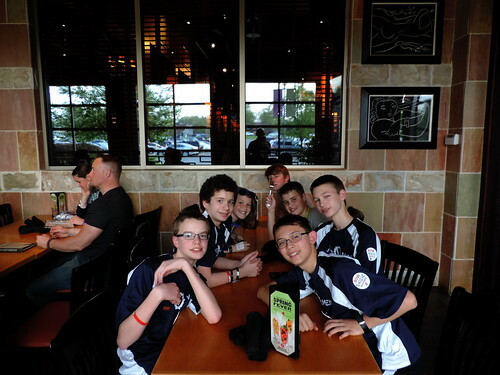 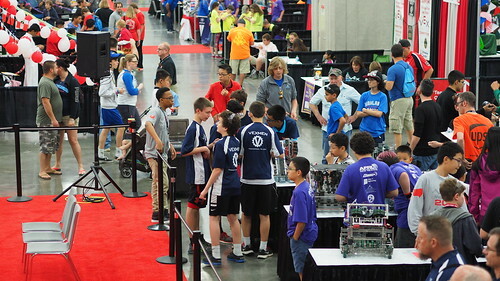 We compete against each other as well as other clubs at competitions in the area. 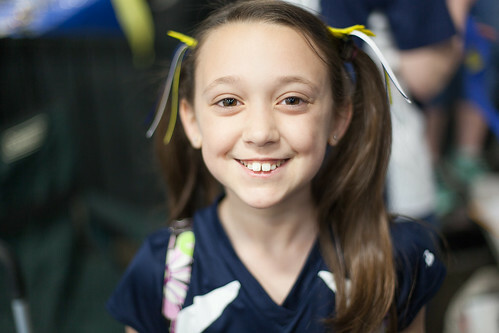 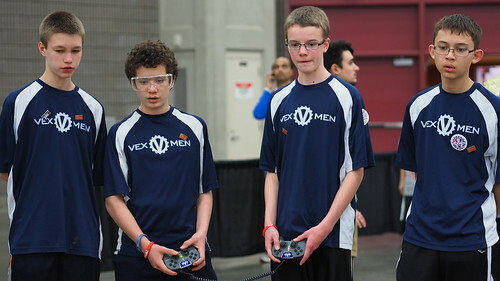 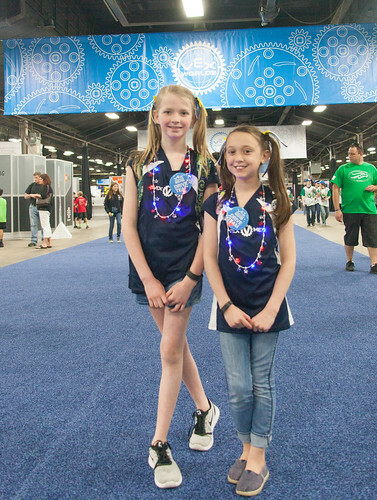 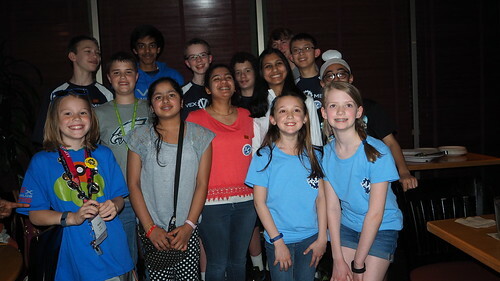 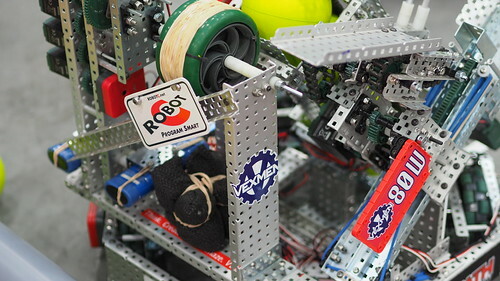 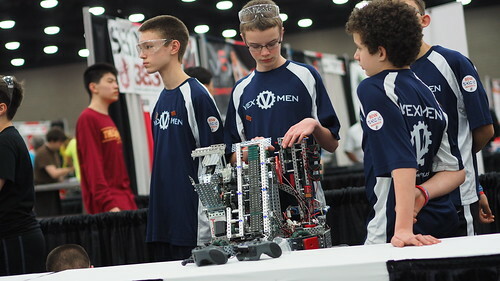 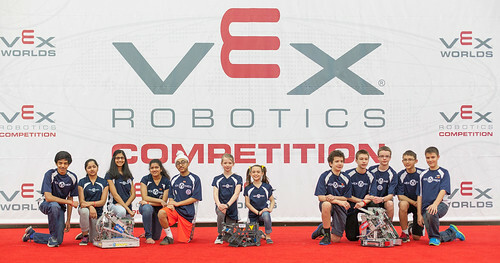 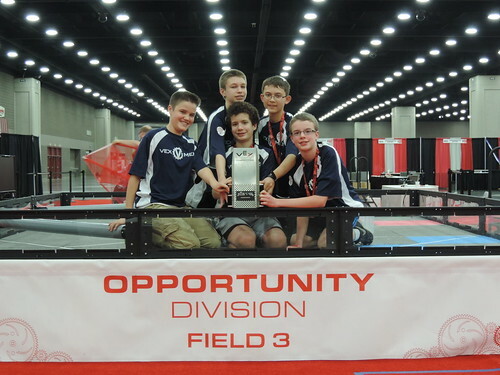 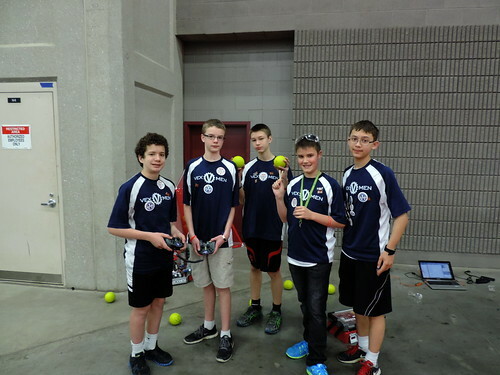 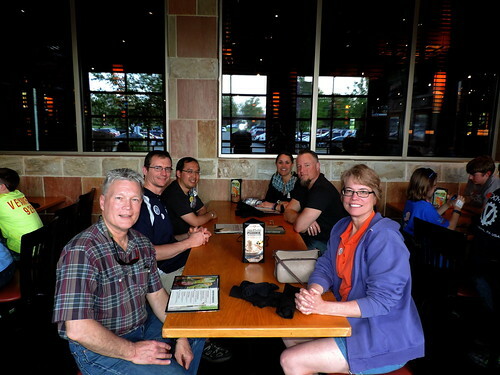 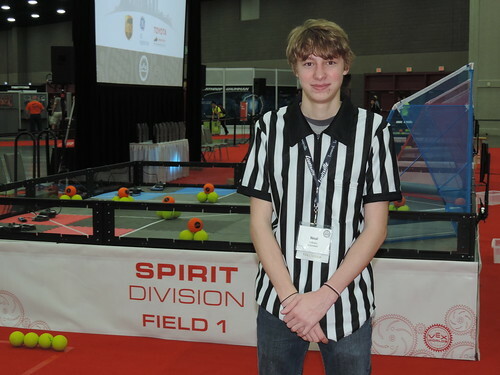 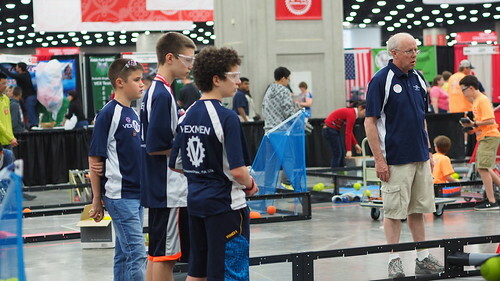 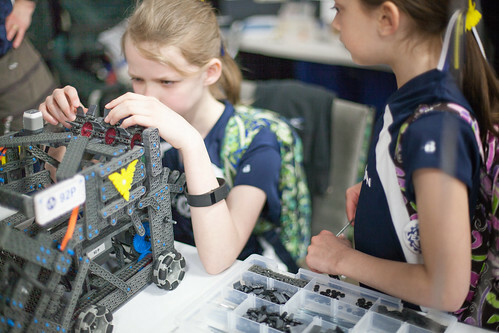 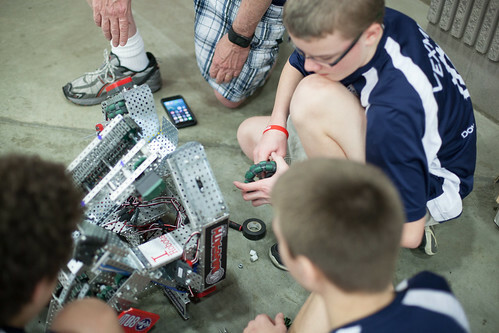 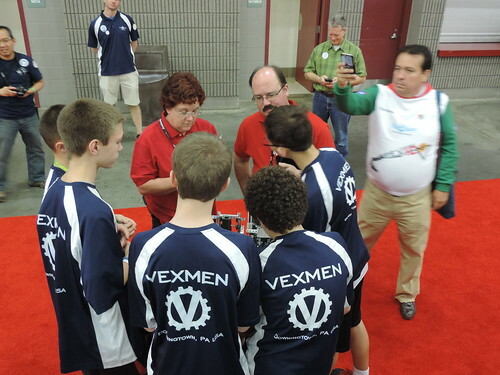 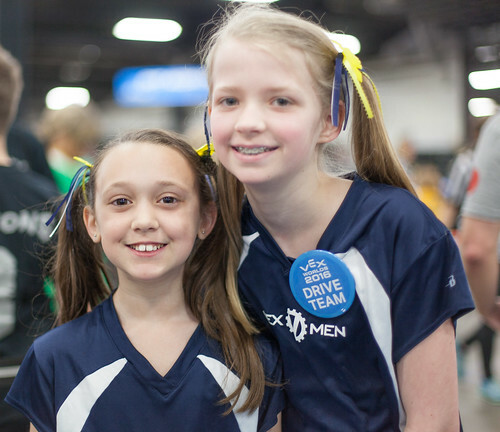 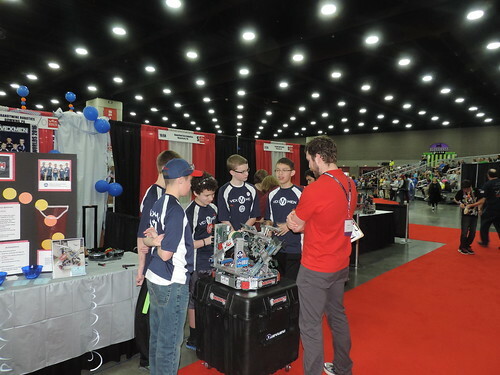 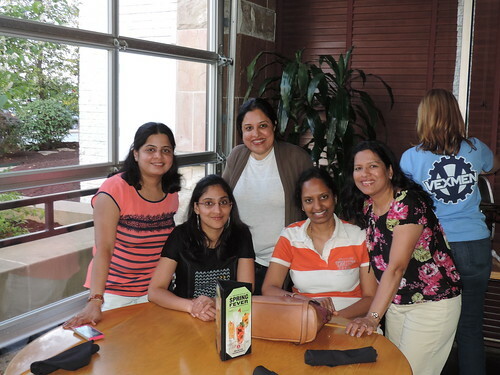 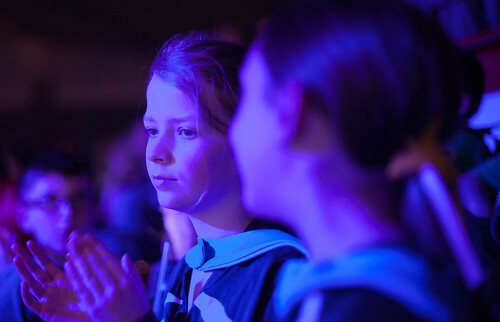 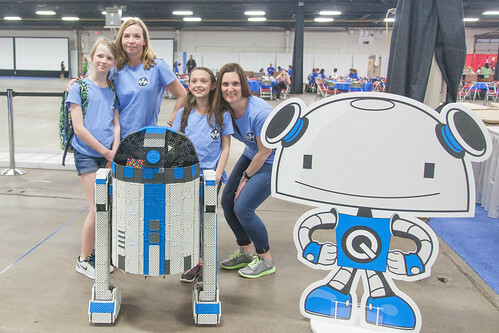 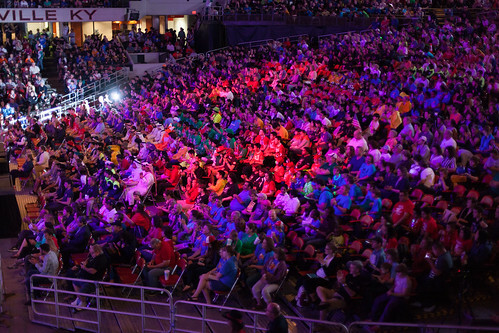 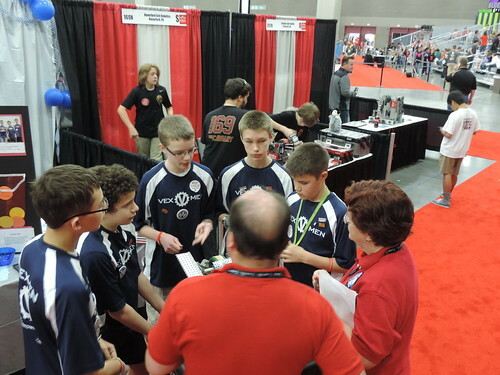 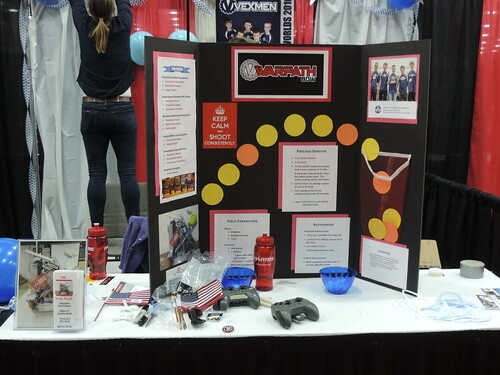 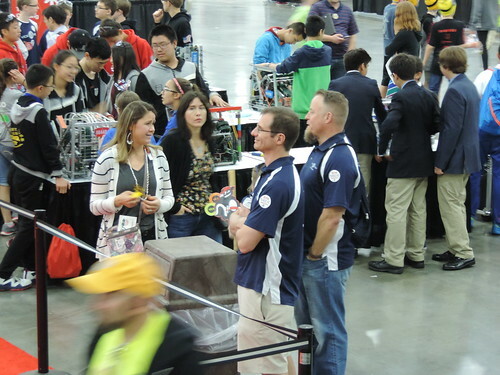 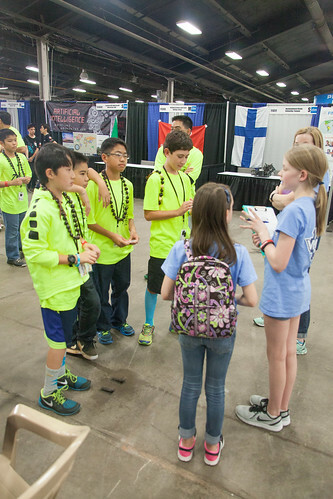 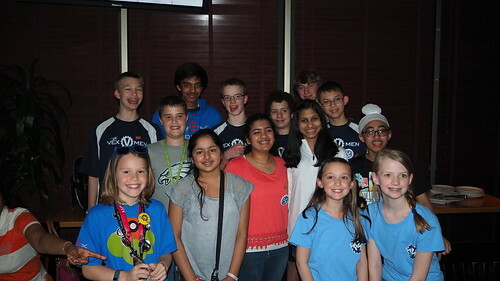 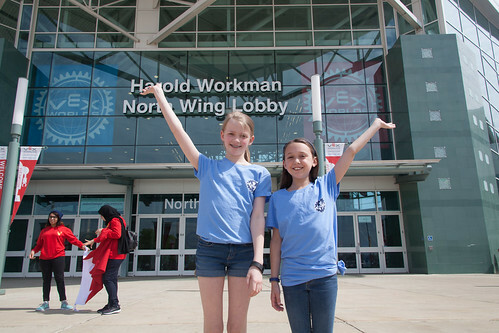 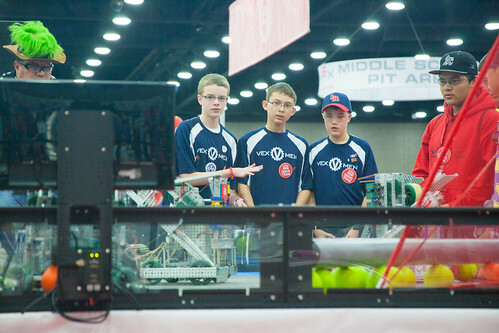 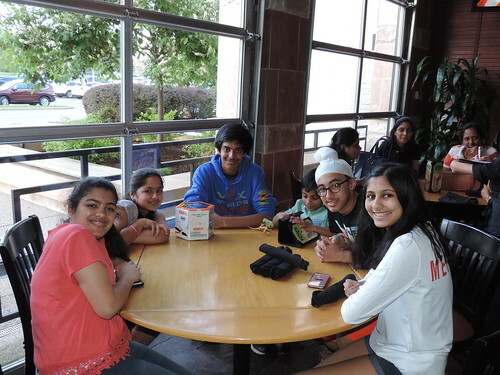 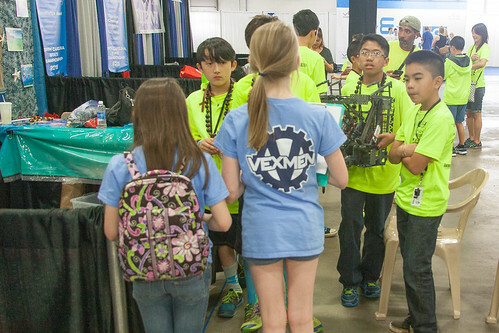 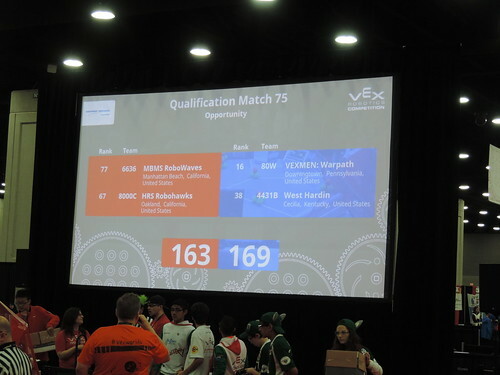 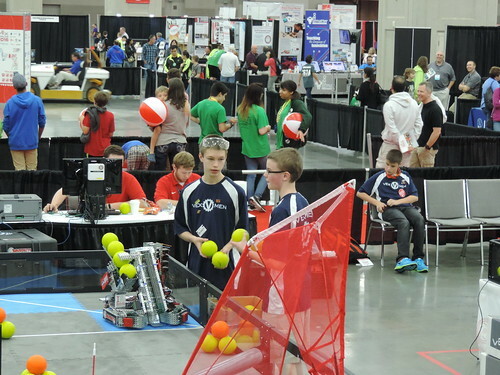 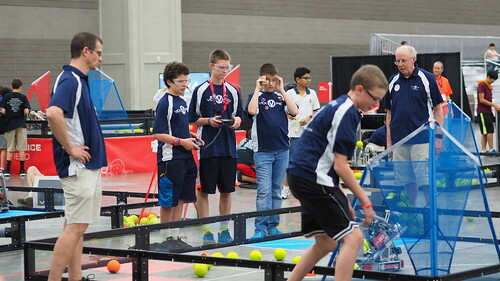 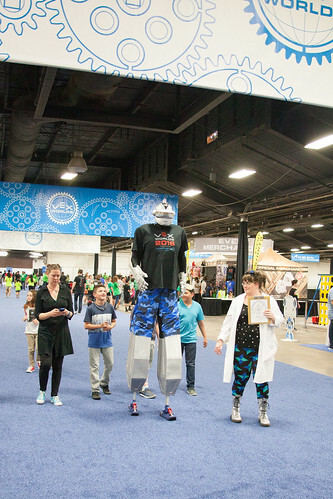 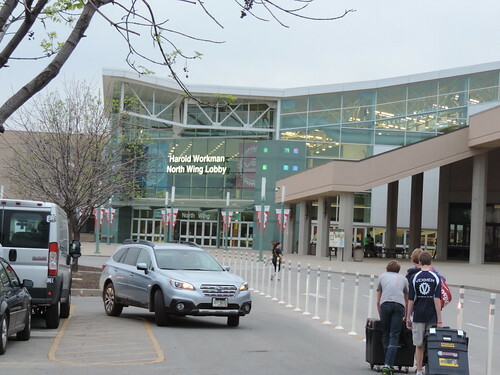 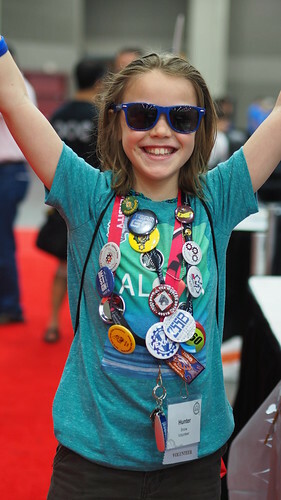 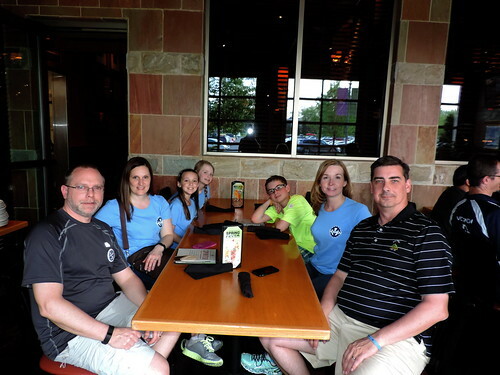 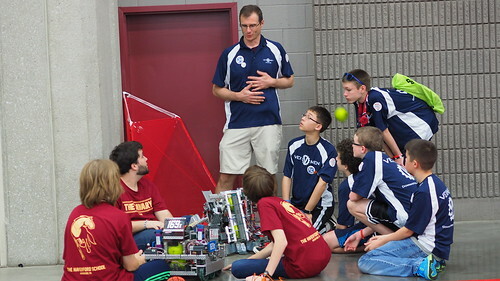 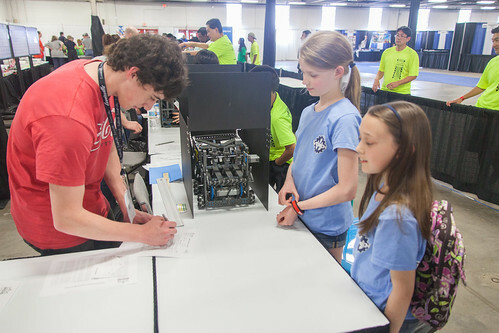 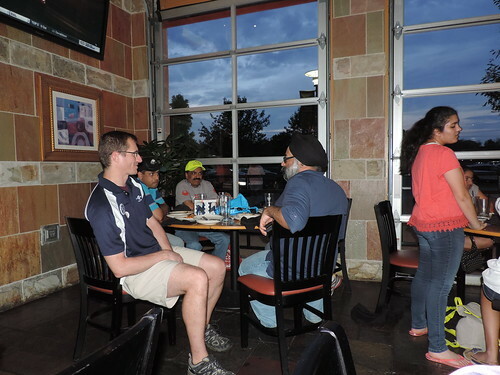 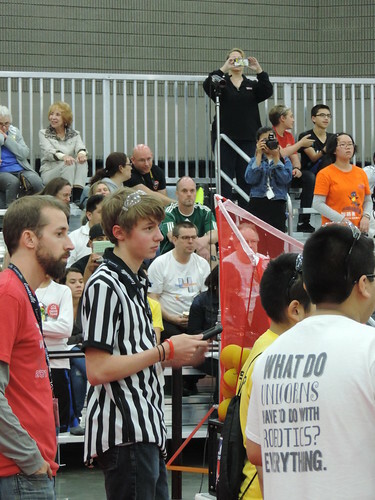 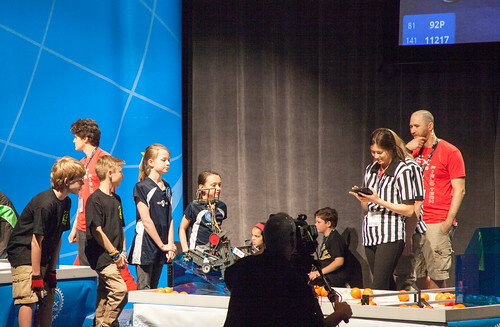 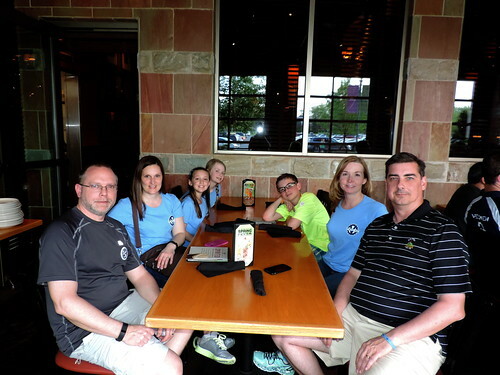 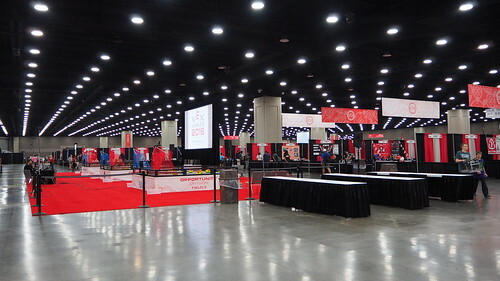 Each team is comprised of up to five student roboteers and their parent mentors. 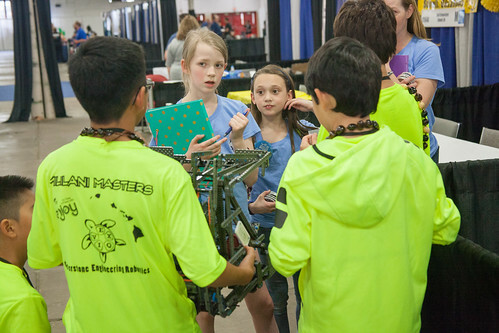 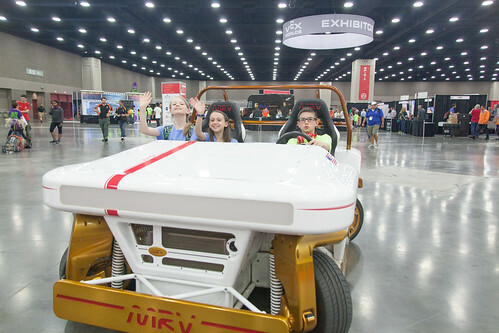 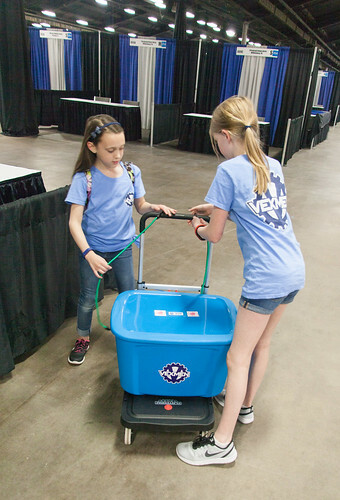 Student roboteers learn about the principles of engineering and get to put it to good use via participating in a competitive robotics team. 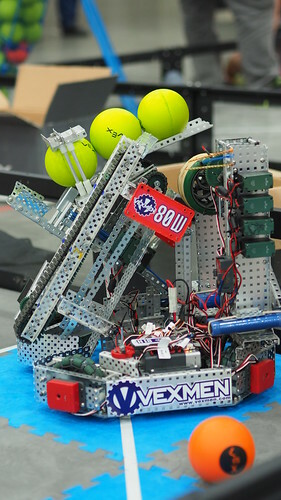 Items in bold denote qualifing awards for PA State Championships.